Smart Belle amplification is a collaboration among two friends who have committed their lives to the pursuit of superior guitar tone. Lance Keltner, pro guitarist, gear developer and overall tone fanatic has played through a myriad of vintage amps and boutique amps over the years but was most inspired by the 70’s tones achieved by David Lindley. The explosive tones that came from a basic modified Fender circuit to create a Tweed Twin sound on steroids were the tones that really inspired Lance to play. Lance has owned Dumble, Park, Marshall, Vox and Fender amps over the years but was most haunted by the tone he heard from a 70’s Dumble amp. The thick incredible overdrive and ability to go from mean to clean with the volume knob on the guitar is the impetus behind the Smart Belle design. Lance knew that he needed to partner with Lee to make this dream tone a reality for all of us. Lee Jackson, guitarist, engineer and electronics designer has worked in the industry for decades and has designed and built amplifiers and studio gear used by some of the biggest names in the business. Lee’s early Hot Rodded Marshall’s and Custom Hand Built Amplifiers have become legendary in the Music Industry. Lee has been creating Custom Guitar Tube Amps for many of the top players in the world: Steve Vai, George Lynch, Paul Gilbert, Zakk Wylde, Akira Takasaki, Allan Holdsworth, David Grissom, Curt Kirkwood and Eric Johnson to name a few. Lee has worked and designed for such companies as Fender, Ampeg, Crate, Pignose, and created his own companies such as Metaltronix, Perfect Connection and Lee Jackson Designs. Lee brought his years of experience to the table to design the best possible version of this circuit. Together the two have taken the 70’s D tone to a new level. The amplifier features a 4 6L6 power section for incredible headroom, however the re-engineered master volume allows world class tone at bedroom levels. The tube driven effects loop is built into the amplifier with both send and control returns. There is no more need to purchase an external tube driven loop since its built right in. There is a three-button footswitch that allows for the switching of our three favorite functions: Channel, EQ defeat, and FET boost. Speaking of the FET boost, it is not only foot-switchable but also completely variable as there is a dedicated knob for a variable level of the boost on the front panel. The SMART BELLE P51 is our first offering and you will find there is nearly zero noise floor even at the highest gain settings. 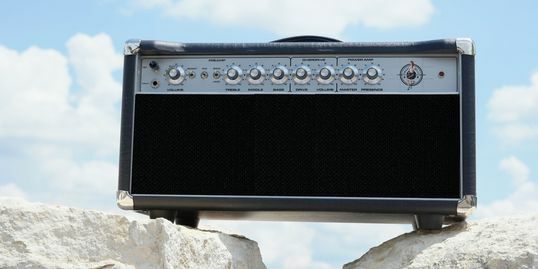 For stage, or studio use, the SMART BELLE will deliver tones that will inspire.